With up to 70% solar reduction our Kaynemaile-Armour screens are perfect for multi-unit apartments. 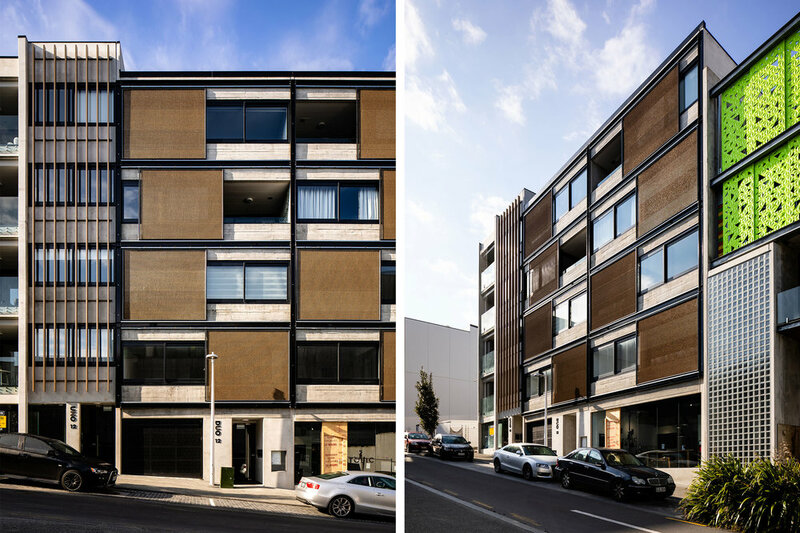 Fitted within a movable steel subframe, Kaynemaile-Armour screens provide an ideal solution for privacy and solar shading for the Uno Duo Apartments in Auckland by Form Architects. 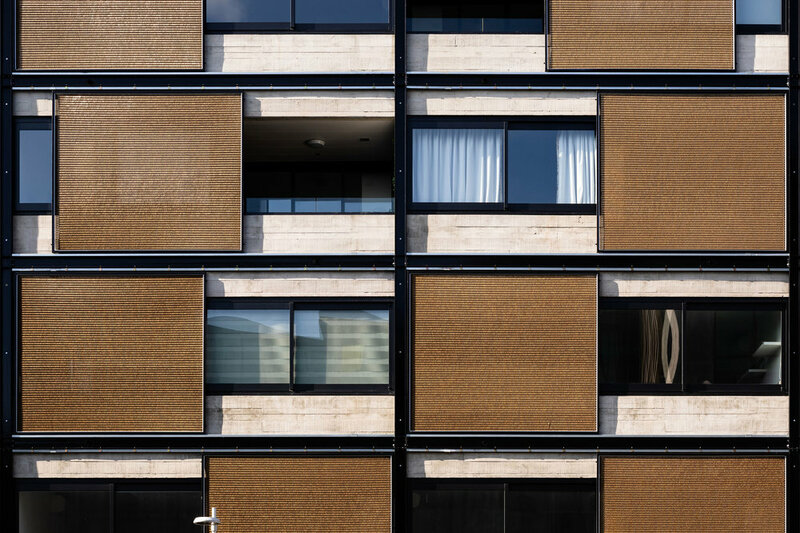 The Bronze mesh screens can be moved to cover the apartment windows or the adjacent balcony to manage the sunlight within the space. Manufactured from engineering grade polycarbonate, Kaynemaile-Armour's unique properties reduce solar heat gain into the building envelope by up to 70% without losing visual transparency. Kaynemaile screens can be made to any height or width without joins. Multiple solutions for exterior environments—facade cladding, rain and wind screening and solar shading.